PS: -- 140K -- Provides the document in Postscript format for printing. This article provides a description of the Free Protocols Foundations processses to ensure the development and maintenance of patent-free protocols. Copyright ©2000 Free Protocols Foundation. At the time of writing, there is an on-going debate within the software industry regarding software patents. Like many others within the industry, at the Free Protocols Foundation we regard the historical tradition of patents as being entirely inappropriate for software. We consider software patents to have the effect of inhibiting free and open competition within the software industry, and to be extremely detrimental to the industry and the consumer. A complete discussion of the software patent issue is outside the scope of this document. For more information on this subject can be found at various sources, see [?] or [?]. Patents are applied to software, not to protocols. It is not possible to patent a protocol; in general only a process or an algorithm can be patented. However, a protocol may include a patented algorithm as an integral part of its specification. In this case, any software implementation of the protocol requires the use of patented software. That is, a patented process is an inherent part of the protocol. Even if a protocol does not explicitly decree the use of a specific patented software process, it may still be the case that any practical implementation of the protocol requires the use of patented software components. The protocol could in principle be implemented in a way which avoids the use of patented software; in practice, however, the result would be a significantly inferior implementation, for example in terms of efficiency. In either case, the protocol effectively implies the use of patented software. We will refer to any such protocol as a patented protocol. That is, a patented protocol is any protocol whose practical implementation requires the use of patented software components. We will use the term patent-free protocol, or just free protocol, to refer to a protocol which is functionally free from software patents. By “functionally free from software patents,” we mean either that the protocol is truly free from patents, or if the protocol does imply the use of patented software, that the patent-holder has granted non-restrictive rights to include the patented software components in implementations of the protocol. In either case, the result is that the protocol can be freely implemented and used by anyone, without encountering significant restrictions. Because of the current state of affairs regarding software patents, it is no longer possible to be absolutely certain that any particular protocol is patent-free. Whether or not a new invention or technology violates any existing patents has traditionally been determined by means of a patent-search – a direct search and examination of all relevant pre-existing patents. In the case of a physical technology, this yields a more or less definitive answer as to whether or not the technology violates any existing patents. In the case of software, however, it is not possible to answer this question with the same degree of certainty. The basic reason for this lies in the very high degree of subtlety and complexity of modern software systems. A software system may contain hundreds or thousands of individual software constructs, any one of which may potentially violate an existing patent. Furthermore, it is very difficult to establish a taxonomy of existing software patents. A taxonomy is required to guide the patent-search process – the taxonomy defines which patents are “related” to the technology under search. Without a well-defined and meaningful taxonomy, it is not possible to define an appropriate scope of search. In other words, a software system may contain a small universe of software constructs. Meanwhile, the Patent and Trademark Office has established a small universe of software patents. Unfortunately, there is no way to establish with certainty, that none of the elements of one universe also reside in the other universe. To make matters worse, there can be room for dispute regarding whether or not a particular software construct violates a particular patent. The patent-holder may claim that it does, while the software developer claims that it does not. If the two parties are unable to come to agreement, the issue can only be resolved in the courts. Finally, because of the delay between a company filing a patent application and the granting of the patent by the PTO, it is entirely possible for a company to conduct a software patent-search with negative results, only to discover subsequently that a patent has been granted after-the-fact, which now places its software in violation. For all these reasons, it has now become essentially impossible to establish with certainty that a particular piece of software is, and will remain, truly patent-free. Likewise, it has become impossible to establish with certainty that a particular protocol is, and will remain, patent-free. Legal rights such as patents and copyright are sometimes referred to collectively as “Intellectual Property Rights.” Although this is a very commonly used term, we will avoid using it in this document. Along with other authors, we object to the use of this term on the grounds that it blurs the distinction between intellectual items and material ones. The law allows ownership rights to be asserted with regard to both types of item, and therefore both may be considered in some sense to be “property.” However, we regard intellectual entities such as software and protocols to be fundamentally different in nature to material items, and worthy of entirely different legal treatment relating to questions of ownership. For more discussion about this point, see [?]. Where necessary, we will use explicit terms such as “patent,” or “copyright,” to refer to legal rights relating to intellectual constructs. Truly Patent-Free Protocol. A protocol that can be implemented in the form of entirely patent-free software. A Truly Patent-Free Protocol contains no limitations whatsoever on its dissemination and use, and may be freely implemented by anyone, without restriction. Functionally Patent-Free Protocol. A protocol for which there are either no known software patent restrictions, or where software patent restrictions are known to exist, non-restrictive usage rights have been obtained from the patent-holder. Free Protocol Specification. A protocol that conforms to the policies and procedures of the Free Protocols Foundation relating to patents, copyright, and confidentiality. These procedures are set forth in Section 6. Declared Patent-Free Protocol. A protocol for which a declaration has been made, to the Free Protocols Foundation, that it conforms to the procedures of Section 6. Author of a Protocol. The individual, company or organization, or the set of individuals, companies or organizations, who are responsible for the creation, development, maintenance, or enhancement of the protocol specification. Working Group. An open-ended set of individuals or organizations who collectively work towards the creation, development, maintenance, or enhancement of the protocol specification. Free Protocol Development Working Group. A Working Group which has voluntarily elected to adhere to, and be bound by, the policies and procedures of the Free Protocols Foundation regarding patent-freedom. Free Protocol Developer. A contributor to a Free Protocol Development Working Group. This document establishes a set of policies and procedures for protocol development that is designed to ensure, as far as this is possible, that the resulting protocol is functionally patent-free. The purpose of these procedures is to create a resulting protocol that is either free from patent restrictions, or for which non-restrictive usage rights have been obtained from the patent-holder. These procedures are set forth in Section 6. The procedures of Section 6 are based on a similar set of procedures defined by the IESG (Internet Engineering Steering Group). Specifically, the FPF procedures are an extension of Section 10, Intellectual Property Rights, of RFC 2026, The Internet Standards Process – Revision 3 [?]. That section defines the procedures to be followed by the IETF (Internet Engineering Task Force) relating to patent-freedom. However, the scope of RFC 2026 is largely limited to the needs of the IESG itself; in particular, the patent-related procedures of Section 10 of RFC 2026 are limited to standards-track documents and other IETF-specific purposes. Thus, while these patent procedures may be entirely adequate for the needs of the IETF, they are not adequate to dealing with patent-freedom in a more general setting. The processes and procedures in Section 6 of this document are therefore an extension of the RFC 2026 procedures, designed to address the need for patent-freedom procedures in general. They are intended to be a set of general-purpose processes which can be adopted by any protocol development organization. PDF: Provides the document in Adobe Acrobat format. Note that the Adobe Acrobat Reader is required to read this format. The Acrobat Reader can be downloaded from the Adobe website. Text Only: Provides the document in text-only format. At the other extreme, the protocol may be open to a very high degree of public accessibility: it can be published by an open mechanism such as RFC publication; undergo revision by means of public working groups; and be entirely free of usage restrictions. A protocol satisfying all these criteria can be said to be “open” in the broadest sense. Protocols are often referred to as “open” to imply that they are open in a broad sense, whereas in fact they are open only in the narrowest sense. Also, protocols can have widely differing periods of industry tenure. Some protocols never achieve widespread acceptance and usage, or else have very short lifetimes before becoming obsolete or being eclipsed by competing protocols. Other protocols become highly successful, and persist as long-term industry standards. Endorsement by a standards body. Depending on its purpose, nature, and history, a protocol may undergo some, all, or none of these phases. Also, a protocol may iterate through phases 3 - 7 multiple times, as it undergoes maturation via repeated revision and re-publication. As described later, the Free Protocols Foundation plays a role in only two of these phases. For completeness, however, in the following sections we provide a brief description of each phase, along with commentary on the FPF’s philosophy regarding the protocol development process. The conception and early development of a protocol can take place in a variety of ways. A traditional source of Internet protocols is the IETF/IESG. Other sources of protocols are private businesses, the academic community, or even a single individual. We believe that there is a tendency among established standards bodies to regard their own, officially sanctioned protocols as authoritative, while any other protocol is of questionable worth or validity. However, the history of protocol development does not support this view. Small groups of individuals have created protocols with far-reaching consequences (e.g. the World Wide Web), just as established standards bodies have created protocols which failed to achieved industry acceptance. At the Free Protocols Foundation, we do not regard any one source of protocols as necessarily superior to any other. We believe that any coordination of activities can generate useful protocols, and we are ready to provide the same support for patent-freedom regardless of the initial source of the protocol. If necessary, global parameters must be assigned to the protocol, e.g. by the IANA. The Free Protocols Foundation plays no role in this process. If the protocol is intended to be an open protocol, as opposed to an exclusively proprietary one, then it must be made publicly available. This can be accomplished in various ways; the protocol can be self-published by the developer, or it can be published through an independent agency such as the Internet RFC Editor. Ideally, the protocol should be published in a way which allows permanent and unrestricted access to the protocol by anyone wishing to implement it. In the case of Internet protocols, this is usually accomplished by RFC publication. Depending on their intentions, the developers of a protocol may take steps to work towards a patent-free result, and they may wish to make certain declarations to that effect. In general, there may be both an Author and a Working Group involved in the development of a protocol. The Author is the person, company, or other entity that has primary responsibility for the protocol. In some cases, the protocol may also undergo development at the hands of a Working Group – a set of independent individuals or companies who work cooperatively on the protocol, usually via public mailing lists. To the best of his knowledge the protocol is not subject to any patent restrictions. It is the Author’s intention to maintain the protocol patent-free. If any patent restrictions relating to the protocol become known to the Author, he will make prompt disclosure of this. The protocol has been developed in such a way as to ensure that no patented components have been intentionally introduced into the protocol. If any patent restrictions relating to the protocol become known to the Working Group, it will make prompt disclosure of this. http://www.FreeProtocols.org. Examples of previously submitted declarations may be seen at that location. The ultimate test of a protocol is whether or not it becomes widely accepted and implemented in the industry. If a protocol is largely unused, or eclipsed by a competing protocol, then it is largely irrelevant. Protocols are usually not static, but instead typically undergo revision and enhancement in response to experience and/or changing industry requirements. Depending on the intentions of the Authors, this may take place by closed and proprietary processes, or by open and public ones. In the case of a truly open protocol, the development process should allow commentary and participation by all the constituencies that are affected by the protocol. In some cases, continued development and enhancement of the protocol is accomplished by means of a public Working Group. Also depending on the Authors’ intentions, the Working Group may function in a way which preserves the patent-freedom of the protocol, and the Working Group may wish to make a declaration to this effect. Two things are required in order to achieve these goals. First, the developers must establish and follow a set of Working Group operating procedures that will have the effect of preserving the patent-freedom of the protocol. Second, the developers must make a public declaration that the Working Group follows these procedures. A developer can achieve both of these things without the assistance of the Free Protocols Foundation. The development organization can establish its own set of Working Group operating procedures, and can independently announce that the Working Group follows them. However, the Free Protocols Foundation provides a means of accomplishing these things which is external to, and independent of, the development organization itself. It is for this purpose that the FPF primarily exists. First, the FPF defines a clear and unambiguous set of Working Group processes and procedures which ensure, as far as possible, that the resulting protocol will remain functionally patent-free. Any development organization is free to adopt these procedures with regard to its own protocol. Second, the FPF provides an external forum in which the developer may declare publicly that its Working Group follows these procedures. Ensure that no patented components can be intentionally introduced into the protocol as a result of the Working Group activities. Provide remedies in the case of unintentional introduction of patented components into the protocol. These remedies consist of prompt publication of the fact of the patented component, and an attempt to secure non-restrictive usage rights from the patent holder. The ultimate arbiter of protocols is the industry itself, in which a multitude of individual decisions leads to the acceptance or rejection of any particular protocol. The acceptance of a protocol as a standard is therefore something that occurs independently of formal endorsement by a standards body. Nevertheless, once a protocol has become accepted as an industry standard, it is often the case that it receives the formal sanction of a standards body. It is sometimes the case that many of the above phases of development take place under the direction of a single institution, or a group of tightly coupled institutions. For example, when developing protocols the IETF/IESG/IAB traditionally claims authority for all aspects of development except for (5), over which, of course, it has no direct control. At the Free Protocols Foundation, we consider it undesirable to place control of multiple aspects of the development process in the hands of any single institution. First, this can include built-in conflicts of interest. For example, if a standards body is responsible both for developing protocols and publishing industry protocols, the body may be inclined to favor publication of its own protocols in preference to competing protocols from other sources, or it may be inclined to place inappropriate commentary within competing protocols. The IETF/IESG has a history of doing both of these things. As another example, if the Maintenance and Enhancement responsibility is closely-held by a developing company or group of companies, this process may be biased in favor of the companys’ interests, rather than those of the industry at large. Furthermore, a large spread of responsibility within a single institution can lead to bureaucratization of its activities; the energy of the organization can become directed towards maintaining its internal bureaucracy, rather than serving the needs of its consumers. In other words, the institution can become authority oriented, as opposed to responsibility oriented. The historical evolution of the IETF/IESG/IAB is a classic example of this. For these reasons, the Free Protocols Foundation is in favor of decoupling, as much as possible, the responsibility for the various aspects of development. A separation of powers greatly lessens the potential for conflicts of interest. Furthermore, an organization with limited responsibility can be discarded, reformed, or replaced more easily than one with very broad responsibility. Separation of powers thus provides a greater degree of choice, and therefore competition, within the protocol development process. The Free Protocols Foundation is therefore in favor of placing responsibility for the various phases and aspects of development in the hands of independent organizations with limited agendas. We favor delegating the Protocol Publication phase to a truly independent third-party entity, such as the Internet RFC Editor. We favor handling the Maintenance and Enhancement phase by means of a variety of truly open public working groups, not just the IETF. Both of these steps ensure unbiased processing of the protocol. In the same spirit, we favor placing responsibility for working towards patent-freedom in the hands of an independent organization. It is primarily for this reason that the Free Protocols Foundation exists. The role of the Free Protocols Foundation is to place those aspects of the protocol development process which relate to patent-freedom in a common, central, public location. The various other aspects of the development process have been described only to place the role of the FPF in its proper context; the FPF plays no role in those aspects. and the Free Protocols Foundation has no agenda other than this. Note that the role played by the FPF regarding protocol patents is somewhat analogous to the role played by the RFC Editor regarding protocol publication. RFC publication provides a means of publishing, via an independent agency, Internet protocols which have been produced by a variety of sources. Similarly, the FPF represents a means of dealing with patent issues by an independent agency. Hitherto, this responsibility has been taken by multiple standards bodies, each of which has been obliged to define its own processes and procedures relating to patents. By adopting the FPF procedures, a standards body or development organization can make use of a set of general services established by an external agency. As noted in the previous section, the FPF is in favor of distributing responsibility for the various aspects of protocol development, rather than consolidating all these aspects under the umbrella of a single organization, such as the IETF. The objection may be made, that this distribution of responsibility creates coordination difficulties. It can be argued that vertically-integrated organizations like the IETF play a valuable role in terms of coordination of activities, and that it is more difficult to coordinate the activities of multiple independent organizations. In particular, it can be said that the IETF assists in the logical and orderly development of multiple protocols, by establishing a common architecture and structure for sets of related protocols. However, we believe that this objection is unfounded. It has been well demonstrated, for example by the development of Linux, that multiple independent entities can coordinate their development efforts extremely effectively. In any event, the advantages to be gained from a separation of powers certainly exceed the drawbacks. At the Free Protocols Foundation, we consider that patented protocols are very undesirable. A protocol is a general agreement within an industry that things will be done in a certain way. It represents an agreed-upon expected behavior, providing common ground for cooperation among a variety of disparate entities: private businesses, academic institutions, government, and individuals. The protocol allows any of these entities to create products, services, applications, etc., and provides the necessary assurances that these offerings will function and interoperate in a well-defined way. The protocol is a positive, enabling force for the entire industry. In order for the protocol to play this role, anyone who wishes to implement and use it must be able to do so freely, and without restrictions. The presence of patented components within the protocol places restrictions on its usage, and therefore serves only to undermine this purpose. Furthermore, the presence of the patent brings an enormously unfair market advantage to the patent holder. By exercising his patent rights, the patent holder can gain financial benefit from competing companies who wish to use the protocol, or can stifle competition altogether by denying the competing company the right to use the protocol at all. We have no objection to companies seeking market advantage by means which benefit the consumer and the industry. Such means include the creation of superior products and services, or the exercising of legitimate patents on physical processes. But we strenuously object to the seeking of market advantage by attempting to lay claim to the protocol itself. The presence of a patent within a protocol is at best absurd, pointless, and self-defeating. And at worst, it represents an attempt by corrupt business interests to gain market advantage at the expense of the industry and the consumer. The Free Protocols Foundation is a nonprofit corporation, incorporated in the State of Washington. By providing an independent, external forum in which an Author may make an initial declaration that a protocol is intended to be patent-free. By defining a set of patent-related Working Group procedures which, if followed, ensure that the resulting protocol will remain functionally patent-free. Any development organization is free to adopt these procedures with regard to its own protocols. By providing an independent, external forum in which a Working Group may make a public declaration that it follows these procedures. Whenever patent rights are asserted with respect to any protocol which has been declared patent-free to the FPF, by publishing a statement of the patent right assertion. Whenever patent rights are known to exist with respect to a protocol which has been declared patent-free to the FPF, by assisting in obtaining from the patent-holder a non-restrictive license to implement the patented process as part of the protocol. The scope of activities of the Free Protocols Foundation is limited to those activities which provide support for free protocols, and which oppose the mis-use of patented protocols. In particular, the Free Protocols Foundation does not develop protocols itself, nor does it participate in the development of the protocols of other organizations. The FPF does not evaluate or provide any commentary on the technical merits of protocols. Also, the FPF does not make any independent verification of whether or not a developer actually adheres to the processes and procedures of Section 6. The FPF does no more than record the fact that the development organization has made the declaration that it conforms to those procedures. Acting as a clearing house for information and articles relating to protocol patent-freedom. Supporting the creation and development of patent-free alternative protocols to existing patented protocols. Alerting legislators of the harmful effects of software and protocol patents, and lobbying for changes in the way software patents are granted. Alerting the United States Patent and Trademark Office (PTO) of the harmful effects of software and protocol patents, and lobbying for changes in the way sofware patents are granted. Supporting fights against invalid software patents in the courts. Boycotting companies which misuse software and protocol patents. We encourage others to join us in resisting the granting and abuse of software and protocol patents. It is often the case that protocols are developed, or maintained and enhanced, by means of public Working Groups. A Working Group may enter into participation at various stages in the protocol’s development. In many cases, the creation and initial development of a protocol is done by a single Author or a small team of core developers. Once an initial basis for the protocol is in place, a larger public Working Group is then formed, which takes over responsibility for maintenance and enhancement of the protocol. In this case, the Working Group begins participating at stage (6), Maintenance and enhancement. In other cases, a Working Group may be formed in order to do the initial creation and development work itself. In this case, the Working Group begins participating at the very beginning, at stage (1), Initial development. Working Groups typically communicate amongst themselves by means of working group mailing lists, together with occasional physical meetings as necessary. Under these circumstances, it is possible for a large number of contributors to participate in the development of a protocol. The processes and procedures of Section 6 include provisions whereby patent-freedom can be maintained for a protocol despite its being developed by a public Working Group. These provisions consist of a set of procedures that, if followed by the Working Group, will keep the protocol functionally patent-free. A key provision is that anyone who participates in the Working Group is required to adhere to these procedures. That is, the Working Group must impose adherence to its procedures on all Working Group contributors. Note that the FPF does not manage Working Group mailing lists itself, nor does it maintain a list of Working Groups which have adopted the FPF’s processes and procedures. Though the FPF does provide a mechanism whereby Working Groups may make a declaration that they conform to the FPF Working Group procedures, it does not provide a mechanism whereby individual contributors may make such a declaration. The role of the FPF regarding Working Groups is limited to that of establishing a minimal set of policies and procedures that contributors may choose to adopt in order to maintain a patent-free protocol. This minimal set of policies relates only to patents, copyright and confidentiality. All other procedures are at the discretion of each individual Working Wroup. To the best of the Author’s knowledge, the protocol is not subject to any patent restrictions. In the event that the Author becomes aware of a patent right restriction relating to the protocol, or a patent right assertion is made with respect to the protocol, the Author will make prompt disclosure of this fact to the Free Protocols Foundation. Any such statement provided to the FPF will be published on the FPF website. Examples of statements previously provided to the FPF can be found in the Author’s Declarations section of the FPF website. If a Working Group participates in the development and/or maintenance and enhancement of a protocol, it may make a declaration that its protocol maintenance and enhancement procedures conform to the FPF Processes and Procedures regarding patent-freedom. A Working Group may do this by providing the Free Protocols Foundation with a statement that its protocol development process conforms to the processes and procedures set forth in Section 6. Any such statement provided to the FPF will be published on the FPF website, and the corresponding protocol will be added to the list of those declared to conform to the FPF’s patent-free policies and procedures. Examples of statements previously provided to the FPF can be found in the Free Protocols Working Group Declarations section of the FPF website. The list of declared-conforming protocols is available in the List of Free Protocols Specifications and Their Declarations section of the FPF website. In this section we define a set of policies and procedures which ensure that a protocol will remain functionally patent-free. Any Working Group is free to make use of these procedures as part of their development process. A key component of these procedures is that every member of the Working Group is required to abide by the procedures. Author’s Patent-Free Intent Declaration. When a developer makes a patent-free declaration to the FPF, a key part of the declaration is that of intent. That is, the declarer is making the statement that to the best of the declarer’s knowledge the protocol is patent-free, and that it is the declarer’s intention to keep it so. On-Going Patent-Free Contributions. By becoming a member of a Working Group, every contributor to the on-going maintenance and enhancement of the protocol is required to adhere to principles and procedures which preserve patent-freedom of the protocol. Working Group’s Declaration When a Working Group makes a declaration to the FPF, the effect of this declaration is that the Working Group’s activities conform to a set of processes that ensure, as far as possible, that the resulting protocol specification is functionally patent-free. Patent Assertion Disclosure If a patent assertion is made subsequent to the declaration, the declarer undertakes to make prompt announcement of this to the Free Protocols Foundation. The Free Protocols Foundation maintains a record of all patent right assertions that have been made against any of its listed protocols. This record is available in the Notices of Claimed Rights section of the FPF website. Obtaining Non-Restrictive Usage Rights. In the event that the developer becomes aware of a patent restriction relating to the protocol, the developer will attempt to obtain non-restrictive usage rights for the protocol. In all matters of patent and confidentiality rights and procedures, the intention of the FPF is to benefit the Internet community and the public at large, while respecting the legal rights of others. No Free Protocol Developer shall make any contribution to the Free Protocol Working Group that is confidential. No contribution that is subject to any requirement of confidentiality or any restriction on its dissemination shall be included in any part of a Free Protocol Specification. By submission of a contribution, each person actually submitting the contribution is deemed to agree to the following terms and conditions on his own behalf, on behalf of the organization (if any) he represents and on behalf of the owners of any proprietary rights in the contribution. Where a submission identifies contributors in addition to the contributor(s) who provide the actual submission, the actual submitter(s) represent that each other named contributor was made aware of and agreed to accept the same terms and conditions on his own behalf, on behalf of any organization he may represent and any known owner of any proprietary rights in the contribution. Some works (e.g. works of the U.S. Government) are not subject to copyright. 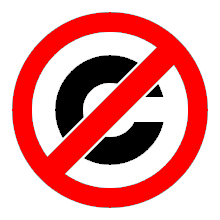 However, to the extent that the submission is or may be subject to copyright, the contributor, the organization he represents (if any) and the owners of any proprietary rights in the contribution, grant an unlimited, perpetual, non-exclusive, royalty-free, world-wide right and license to the Free Protocols Foundation and the Free Protocol Working Group under any copyrights in the contribution. This license includes the right to copy, publish and distribute the contribution in any way, and to prepare derivative works that are based on or incorporate all or part of the contribution, the license to such derivative works to be of the same scope as the license of the original contribution. The contributor acknowledges that the Free Protocol Working Group and the Free Protocols Foundation have no duty to publish or otherwise use or disseminate any contribution. The contributor represents that the contribution properly acknowledges major contributors. The contributor, the organization (if any) he represents, and the owners of any proprietary rights in the contribution agree that no information in the contribution is confidential and that the Free Protocol Working Group and the FPF may freely disclose any information in the contribution. The contributor represents that he has disclosed the existence of any proprietary or patent rights in the contribution that are reasonably and personally known to the contributor. The contributor does not represent that he personally knows of all potentially pertinent proprietary and patent, confidentiality and copyright rights owned or claimed by the organization he represents (if any) or third parties. The contributor represents that there are no limits to the contributor’s ability to make the grants acknowledgments and agreements above that are reasonably and personally known to the contributor. Where any patents, patent applications, or other proprietary rights are known, or claimed, with respect to any Free Protocol Specification, and brought to the attention of the FPF, the FPF shall prepare a note, to be included in the next revision of the Free Protocol Specification, indicating the existence of such rights, or claimed rights. The FPF encourages all interested parties to bring to its attention, at the earliest possible time, the existence of any patent rights pertaining to Free Protocol Specifications. Where the FPF knows of rights, or claimed rights under (1), the FPF shall assist the Free Protocol Working Group in attempting to obtain from the claimant of such rights, a written assurance with respect to the relevant protocol specification(s), that any party will be able to obtain the right to implement, use and distribute the technology or works when implementing, using or distributing technology based upon the specific specification(s) under openly specified, reasonable, non-discriminatory terms.